"Lookin’ Lazy at the Sea..."
“By the old Moulmein pagoda lookin’ lazy at the sea”; another Kipling quote for this off the beaten track South Burma (Myanmar) tour, following, with a few detours into the interior, the Indian Ocean and Andaman Sea coast from Rangoon (Yangon) all the way to the Mergui Archipelago in the far south of the country . 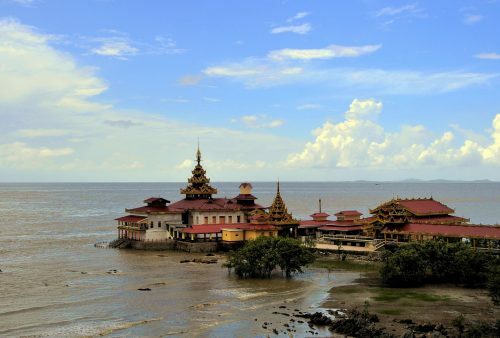 Our route takes in the well-preserved yet little-visited historic ports of Mawlamyine, Dawei and Myeik, better known as Moulmein, Tavoy and Mergui, as well as plenty of lesser-known destinations on the way. 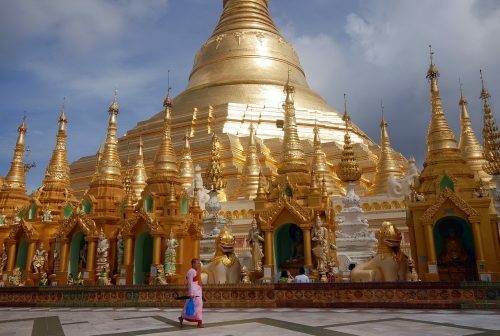 Leaving Yangon we’ll travel by local train to the ancient Mon capital of Pegu, now Bago, and on to the stunning Golden Rock – one of the country’s most important pilgrimage sites. 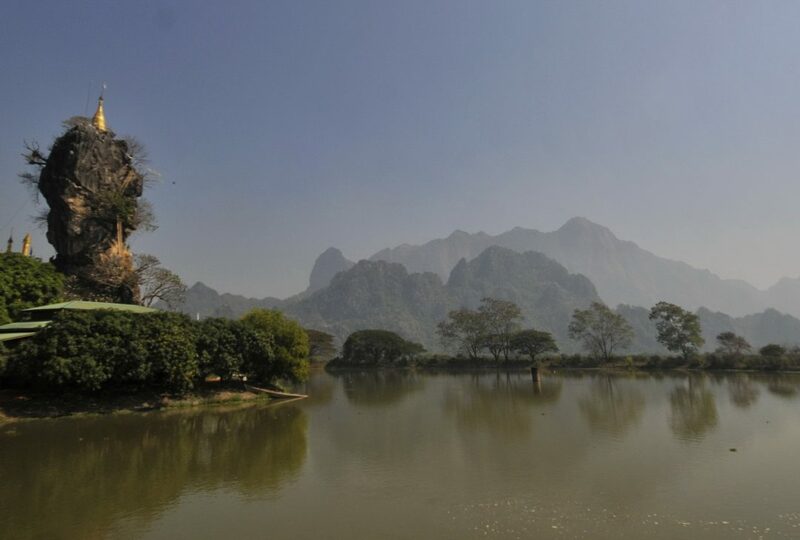 From here we’ll continue down the peninsula to the tiny capital of Karen State, Hpa-an, where the broad Salween River and dramatic karst scenery form a spectacular setting for this charming and picturesque town. 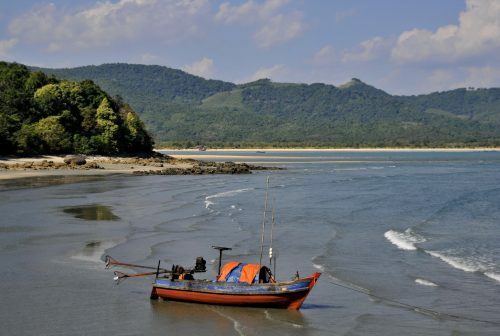 The old colonial period towns of Moulmein (Mawlamyine) and Dawei are next on the itinerary before completing the tour in the delightful town of Mergui, now Myeik, with its myriad isles. 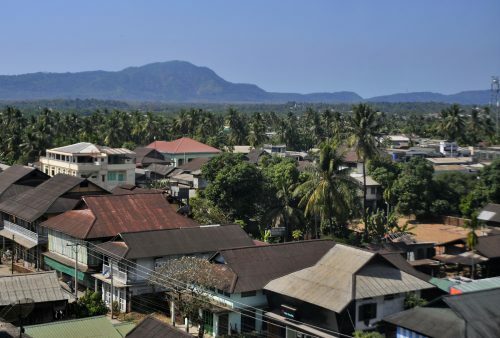 Definitely some of the most picturesque and friendliest of Burmese towns plus some of the country’s most spectacular scenery. 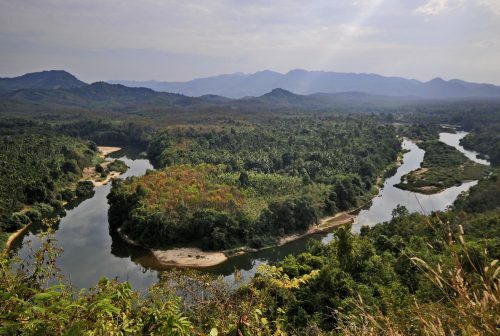 This 2-week southern itinerary can be booked as a stand-alone, off the beaten track tour or combined with our classic Discover Burma tour for a comprehensive look at the country’s famous sites and hidden secrets. Morning arrival in Yangon (Rangoon) and check-in to a comfortable, downtown hotel close to the famous Scott Market. 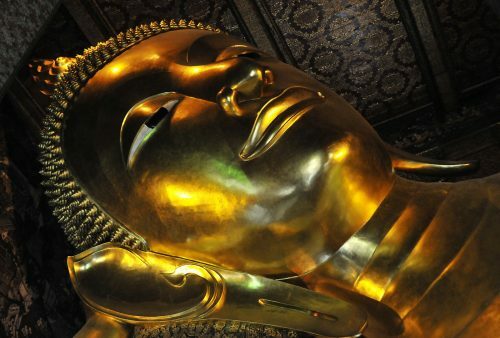 Afternoon at leisure: check out some of the City’s decaying Victorian splendour, the National Museum or perhaps revisit the awesome Shwedagon Pagoda? Airport transfers are included if you purchase the 'with flights' package. Departure by local train for the ancient Mon capital of Pegu, now Bago and on to Kyaiktiyo, departure point for the Golden Rock. Yes, the gold leaf-covered boulder balanced precariously on a mountaintop is spectacular, but it’s the whole experience that’s so wonderful. Ride halfway up the mountain on an open-topped truck crammed with locals before continuing on foot with the pilgrims for the rest of the way. Awe-inspiring views and overnight in a ridge-top hotel almost as absurdly situated as the rock itself. Transport to the summit can be arranged for the less energetic. 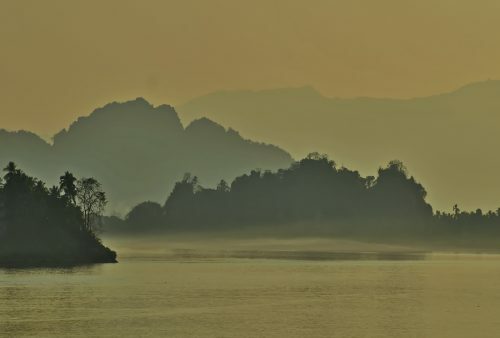 Dawn at the Rock before heading off south to Hpa-an Town, capital of Karen State. 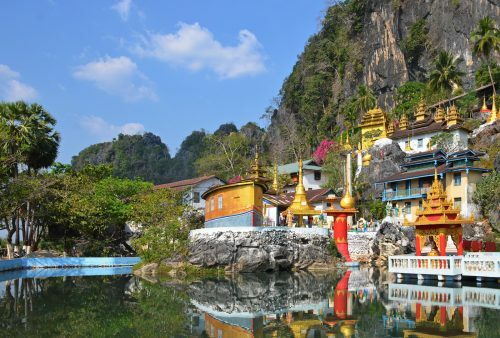 Stop off on route to visit some spectacular cave temples and hot springs, with the afternoon to explore the bustling and friendly town before a sunset visit to a beautiful riverside pagoda. 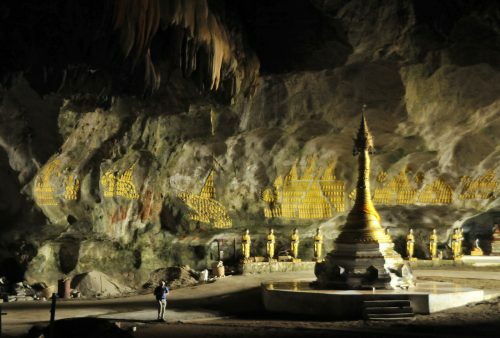 Set amid dramatic limestone karst scenery including the sacred Zwegabin Mountain, symbol of Karen State and we’ll spend the day exploring Hpa-an’s caves, tunnels, temples and mountains by road, boat and on foot, as well as passing through some of the area’s traditional Karen villages. 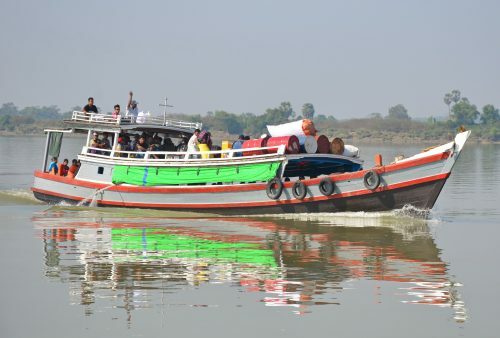 Departure by boat, for a journey down the scenic Salween River to Moulmein, now Mawlamyine, capital of Mon State with a stop at a riverside Karen village on the way. Formerly home for several years to George Orwell and immortalized by Kipling, we reckon it’s one of the country’s friendliest and most scenic towns. Visit a lively market before heading up for sunset at one of the hill-top pagodas overlooking the town and Gulf of Martaban. 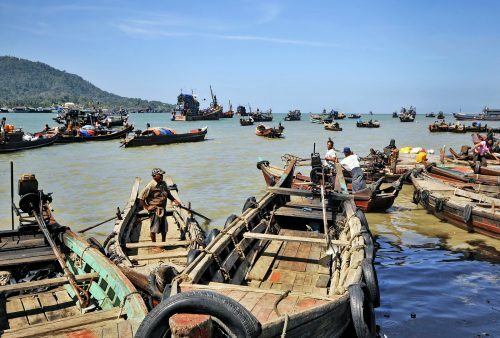 Off by local boat to nearby Bilu Kyun – ‘Ogre Island’ – where we’ll visit traditional Mon villages and discover some of the local handicrafts and cottage industries. 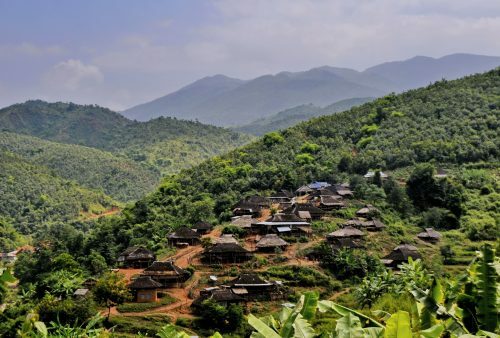 They don’t see many tourists yet, but the villagers will be happy to show you how they make cane walking sticks, Burmese style bamboo hats, slate blackboards and even back-garden rubber band making! (Sounds odd but it’s absolutely fascinating). 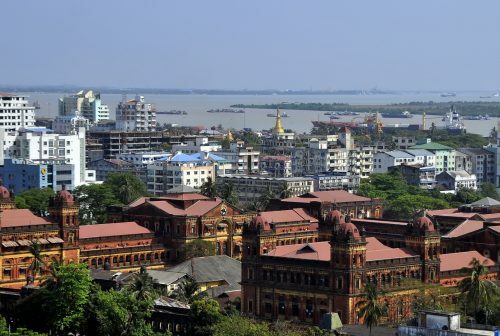 Afternoon return to Moulmein for perhaps some sundowners at a waterfront café? 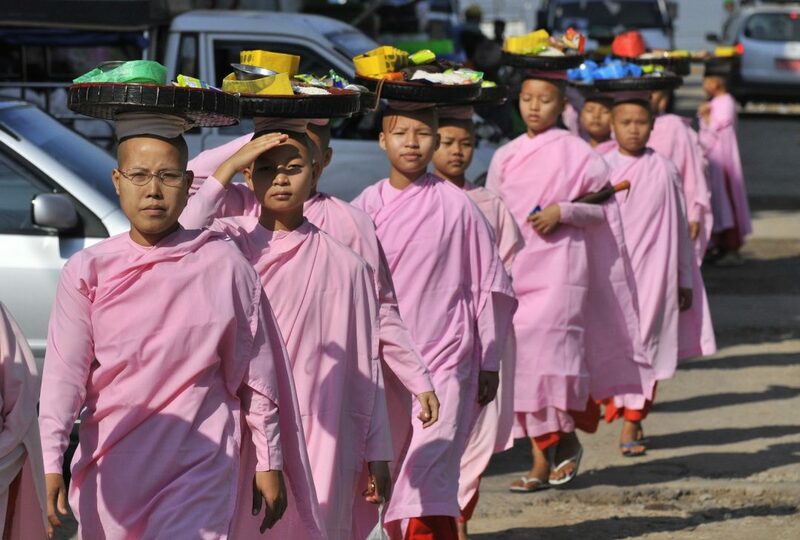 Visit the town’s lively morning market before heading south with stops at Kyauktalon Pagoda, perched atop a limestone pinnacle, the world’s largest reclining Buddha (Win Sein Taw Ya) and Thanbyuzayat – terminus of the infamous Japanese-built ‘Death Railway’ and WW2 cemetery. Last but not least, we visit the iconic Kyaikkami Monastery located in the old colonial town of Amherst, on a rock outcrop jutting into the sea. 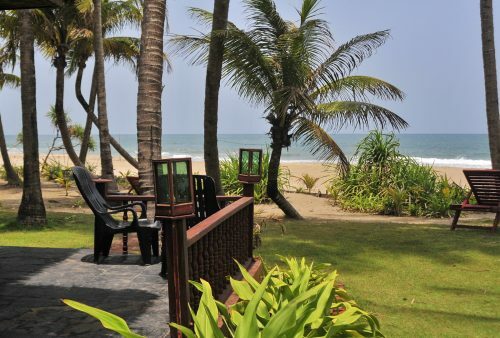 Continue to the charming little seaside town of Setse for our accommodation in beachfront chalets. A short drive south brings us to the delightful little town of Ye. Until late 2013 the town had been off limits to foreigners since independence in 1948 due to perceived security issues with Mon and Karen autonomists. (So to say it’s off the beaten track is an understatement.) We’ll visit the spectacular temple site atop charmingly named Banana Mountain as well as taking in the rustic riverside market before continuing in the afternoon to Dawei, formerly Tavoy. 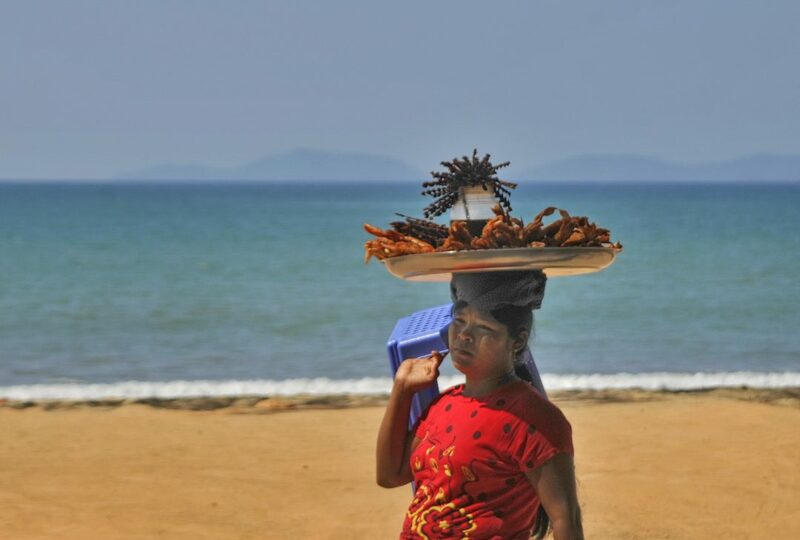 Our day tour of Dawei starts out with another lively waterfront market before heading to the nearby Dawei Peninsula. 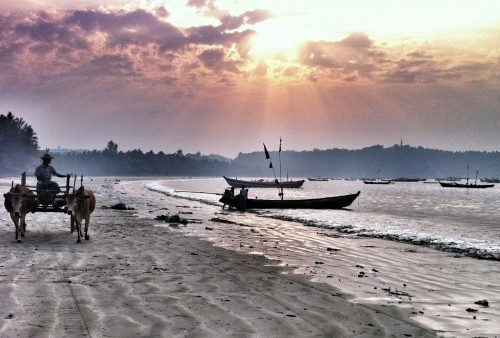 There can’t be many stretches of coast left in Southeast Asia as spectacular, but yet so little developed. 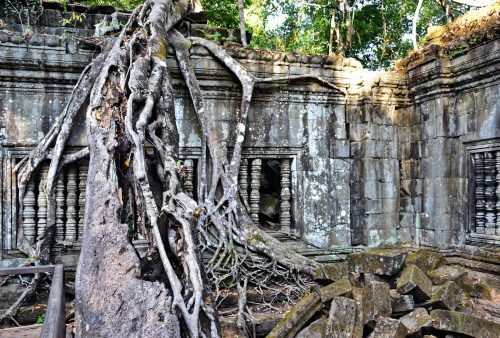 Now is the time to visit, as in 10 years time it’s fishing villages, deserted bays and seaside pagodas may well be a distant memory. 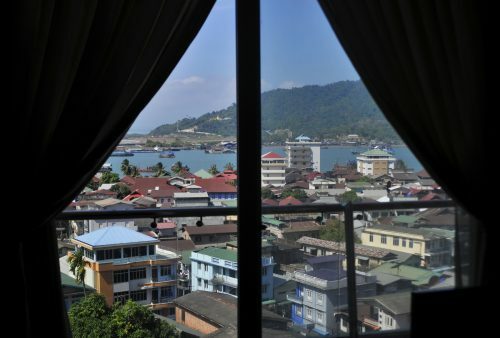 After a morning drive, the next stop is the old colonial port of Mergui, now renamed Myeik. In the afternoon we’ll do a walking tour through streets barely changed in 70 years and take in sunset views of the bustling port from one of the hilltop pagodas. 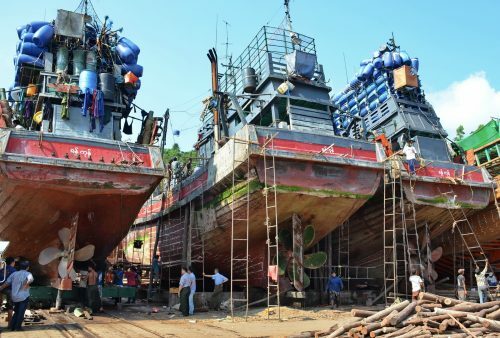 A fascinating day discovering, by road and by boat, some of the area’s traditional industries such as lobster and soft-shelled crab farming, edible bird’s nest collection, a traditional-style shipyard and a visit to a cashew processing factory. 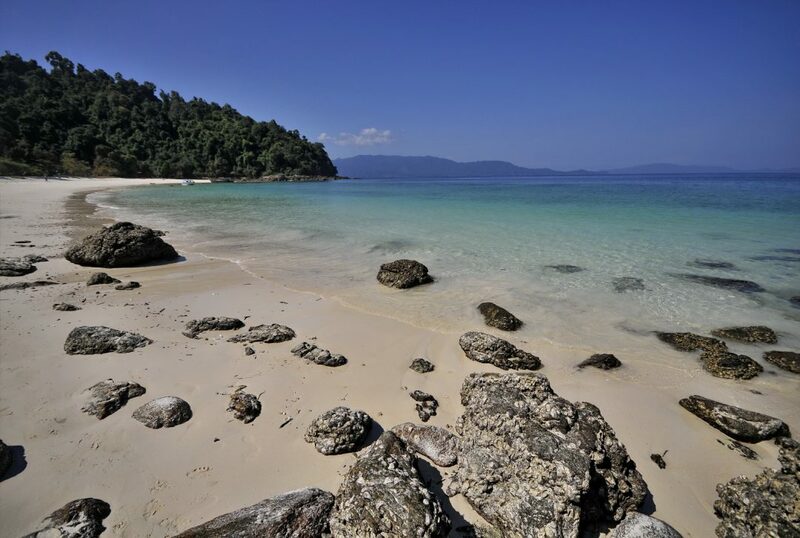 For our final day in Myeik we’ll offer an optional day cruise by boat through some of the myriad isles of the spectacular Mergui Archipelago (weather permitting). 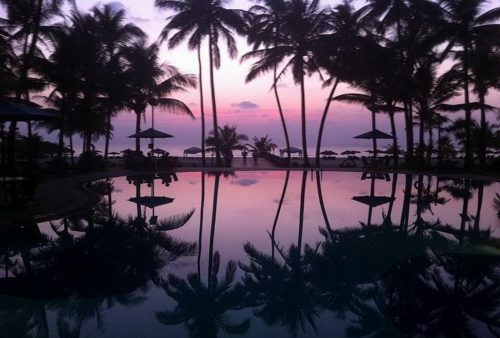 Activities include swimming and snorkelling, a picnic lunch on the beach and a chance to explore some islands on foot. 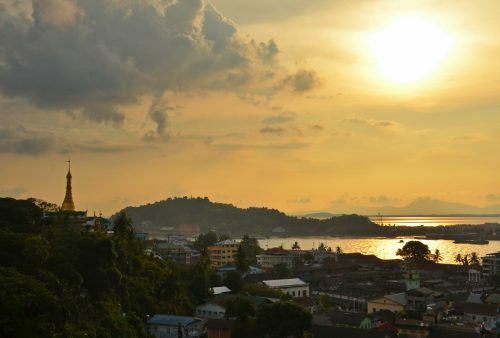 An alternative day in Myeik allows you to explore the town’s ancient temples and windy lanes, mingle in some of the friendly tea-shops and stroll around a lily-covered lake. Morning at leisure and return flight to Yangon with a late afternoon departure. Airport transfers are included if you purchase the ‘with flights’ package. If you purchased your own flights, airport transfers can be arranged. 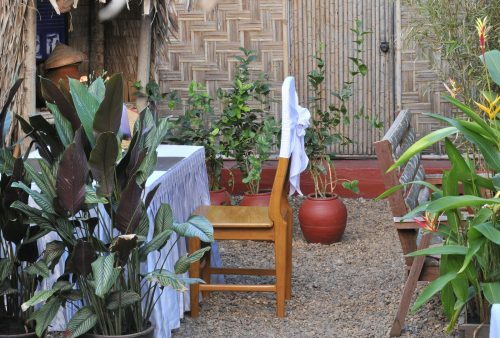 Extra accommodation in Yangon after your tour or an extension to a beach resort are available on request. 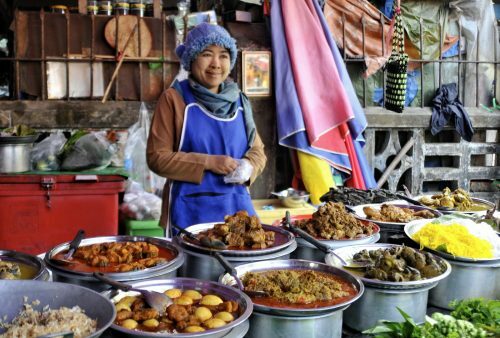 Lashings of authentic local cuisine, tea shops, beer stations and oodles of very friendly locals! Wait 'til you see the views! 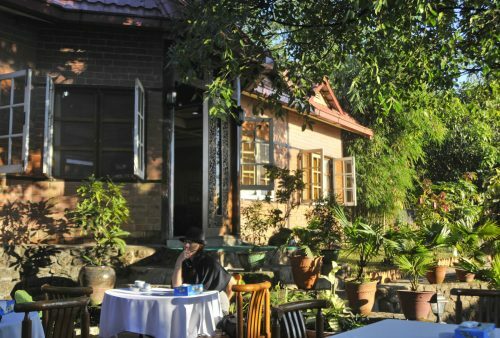 The rooftop cafe's perfect for breakfast or sundowners! 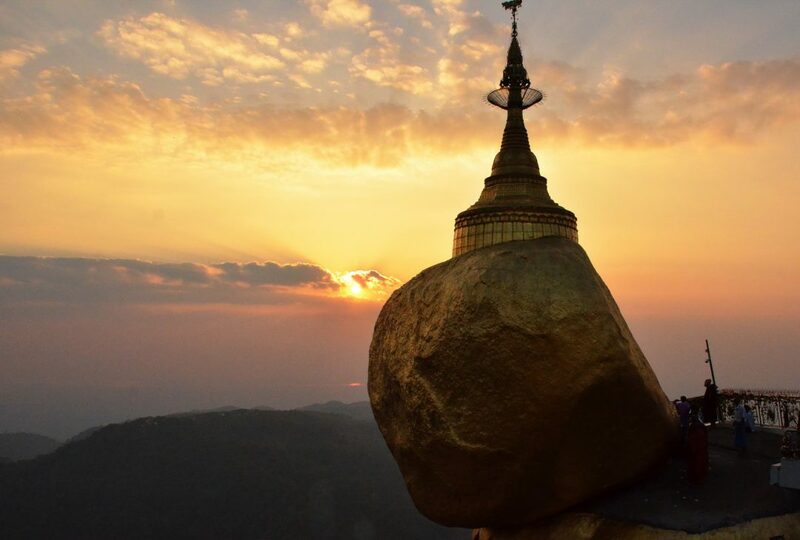 Burma (Myanmar): You will need to get a visa before you travel. E-visas are now available for many countries https://evisa.moip.gov.mm. Alternatively, you need to apply at your nearest Burmese Embassy or Consulate. A visa is valid for 3 months from the date of issue so we recommend applying for one about 2-3 months before your return date. Note: You are applying as a foreign independent traveller NOT a package tour group. The hotel for visa purposes is the Asia Plaza Hotel, Rangoon c/o Tour Mandalay (our ground handler). You should not require any other details. Passport validity: Your passport should be valid for a minimum period of 6 months from the date of entry into Burma. You may be refused entry if your passport is damaged or in poor condition.
" 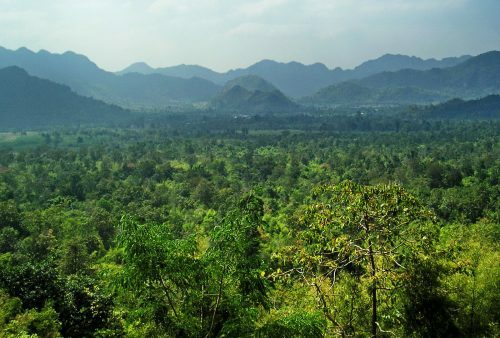 Thank you Mark, for a fabulous tour of South Burma – it was magical experiencing the “untouched” areas. The people were warm and engaging in areas where there are few tourists. It was a privilege to travel among them……… every day a highlight for us!
" We had a wonderful holiday and have many happy memories.